Our small wind turbines regulate their speed. 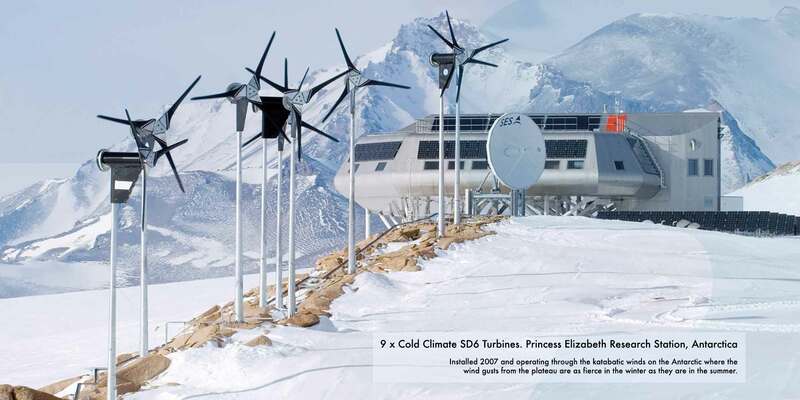 As the wind gets stronger, the blades pitch and cone to protect the rotor and ensure a high output even in the fiercest storms, unlike alternative turbines which need to be put on brake to protect themselves. 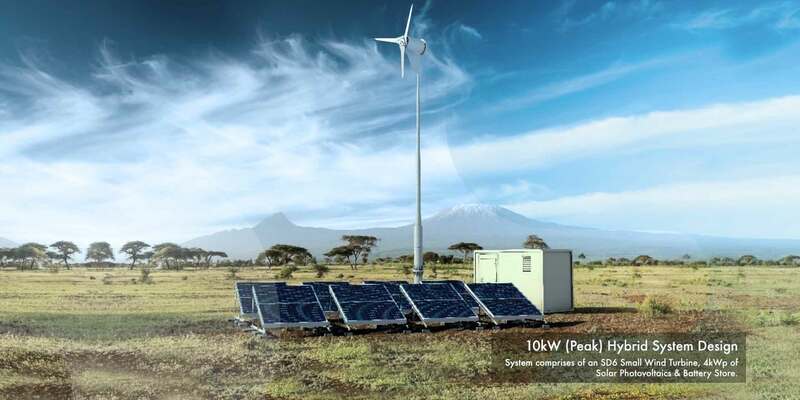 This unique downwind technology is what sets us apart from the rest and ensures customers achieve maximum energy yield at all times. 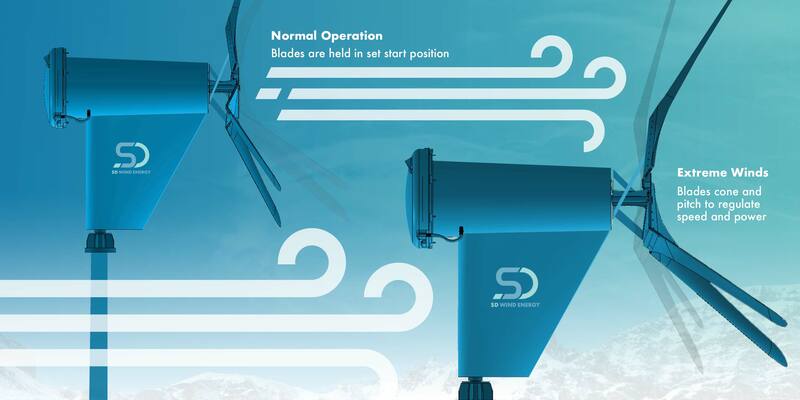 The SD3 small wind turbine is ideally suited for remote access sites, small domestic properties, telecoms, off-grid applications, light industrial and farming energy needs. The SD6 small wind turbine is our most popular model and has been the best-selling small wind turbine in the UK and regarded as the turbine of choice world-wide for over 25 years. 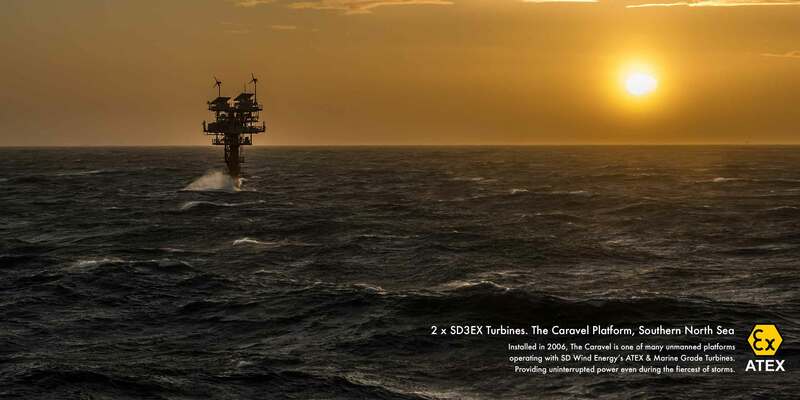 The ATEX certified SD3EX small wind turbine has been optimised for the harsh environment of off shore applications, offering a secure and reliable alternative to diesel engines for power generation on oil rigs. 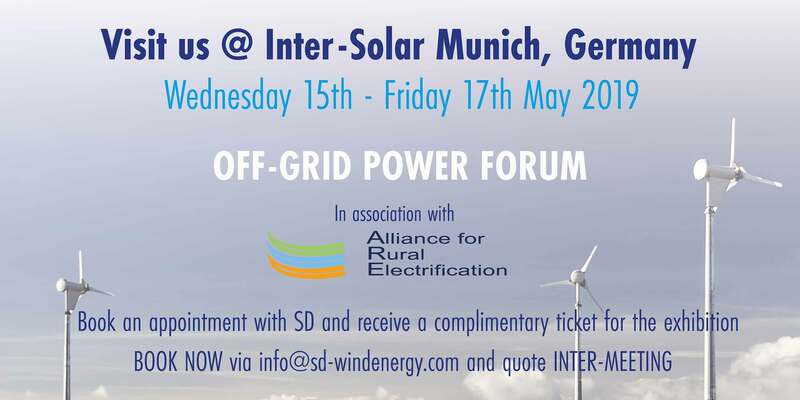 Our specialist team has over 30 years of experience in all aspects of small wind and hybrid energy systems. 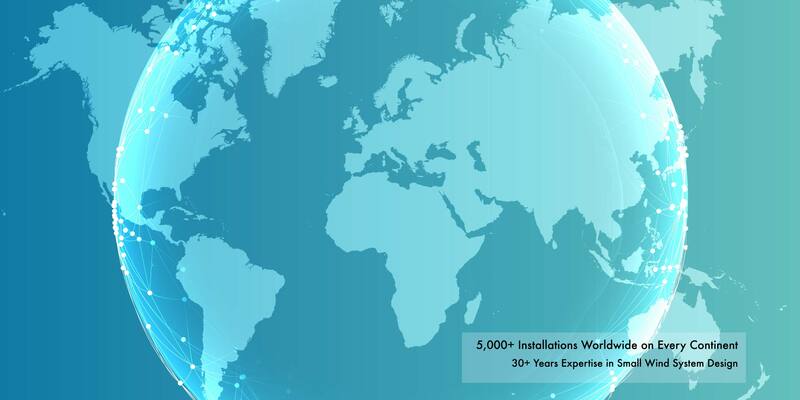 Alongside our global network of approved installers, we can deliver every essential service required in the process, from desktop assessment and wind speed checks, site assessment and feasibility, to system design, installation and commissioning.